Jeff Evans in Olympia, Washington toll-free (877) 412-5064 or jeff[at]amazementproductions.com. Or, send e-mail to info[at]amazementproductions.com to reach both Rick and Jeff at the same time. Please provide as much information as you can so we can make recommendations and provide a price quote. It’s WOW time! 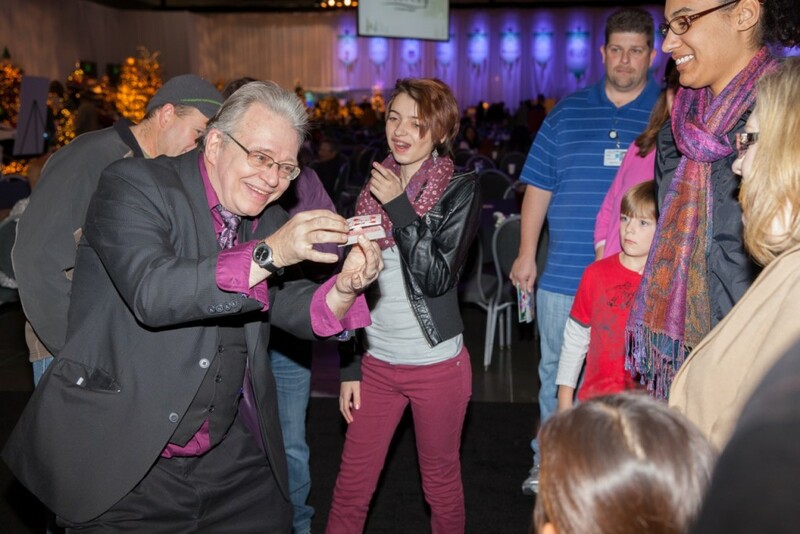 Rick Anderson performs close-up magic for the Festival of Trees. Photo by Kristin Zwiers, www.kristinzwiers.com.